Know and be able to differentiate among the four types of organizational structure. Understand why a change in structure may be needed. Within most firms, executives rely on vertical and horizontal linkages to create a structure that they hope will match the needs of their firm’s strategy. Four types of structures are available to executives: (1) simple, (2) functional, (3) multidivisional, and (4) matrix (Figure 9.6 “Common Organizational Structures”). Like snowflakes, however, no two organizational structures are exactly alike. When creating a structure for their firm, executives will take one of these types and adapt it to fit the firm’s unique circumstances. As they do this, executives must realize that the choice of structure will influence their firm’s strategy and strategic options in the future. Once a structure is created, it constrains certain future strategic moves, and supports others. If a firm’s structure is designed to maximize efficiency, for example, the firm may lack the flexibility needed to react quickly to exploit new opportunities. Many organizations start out with a simple structure. 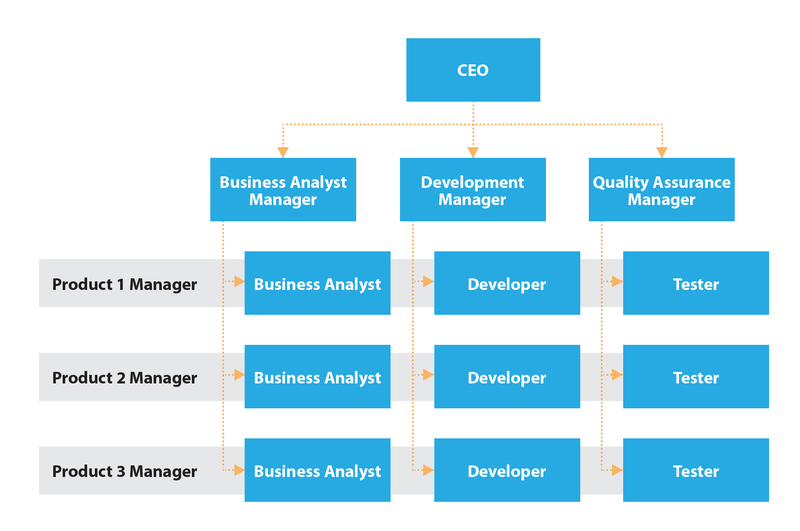 In this type of structure, an organizational chart is usually not needed. Simple structures do not rely on formal systems of division of labor (Figure 9.7 “Simple Structure”). If the firm is a sole proprietorship, one person performs all the tasks the organization needs to accomplish. Many professions, such as doctors, lawyers, and architects, find that a simple structure meets the needs of their business. The same is true for small business owners; for example, on the TV series The Simpsons, both bar owner Moe Szyslak and Comic Book Guy are shown handling all aspects of their respective businesses. If the firm consists of more than one person, tasks tend to be distributed among them in an informal manner rather than each person developing a narrow area of specialization. In a family-run restaurant or bed and breakfast, for example, each person will contribute as needed to tasks, such as cleaning restrooms, food preparation, and serving guests (hopefully not in that order). Meanwhile, strategic decision making in a simple structure tends to be highly centralized. Indeed, often the owner of the firm makes all the important decisions. Because there is little emphasis on hierarchy within a simple structure, organizations that use this type of structure tend to have very few rules and regulations. The process of evaluating and rewarding employees’ performance also tends to be informal. Figure 9.8: There is a good reason most sole proprietors do not bother creating formal organizational charts. The informality of simple structures creates both advantages and disadvantages. On the plus side, the flexibility offered by simple structures encourages employees’ creativity and individualism. Informality has potential negative aspects, too. Important tasks may be ignored if no one person is specifically assigned accountability for them. A lack of clear guidance from the top of the organization can create confusion for employees, undermine their motivation, and make them dissatisfied with their jobs. Thus when relying on a simple structure, the owner of a firm must be sure to communicate often and openly with employees. As a small organization grows, the person in charge of it often finds that a simple structure is no longer adequate to meet the organization’s needs. Organizations become more complex as they grow, and this can require more formal division of labour and a strong emphasis on hierarchy and vertical links. In many cases, these firms evolve from using a simple structure to relying on a functional structure.. Within a functional structure, employees are divided into departments that each handle activities related to a functional area of the business, such as marketing, production, human resources, information technology, and customer service (Figure 9.9 “Functional Structure”). Each of these five areas would be headed up by a manager who coordinates all activities related to her functional area. Everyone in a company that works on marketing the company’s products, for example, would report to the manager of the marketing department. The marketing managers and the managers in charge of the other four areas in turn would report to the chief executive officer. Figure 9.10: An example of a functional structure. Using a functional structure creates advantages and disadvantages. An important benefit of adopting a functional structure is that each person tends to learn a great deal about his or her particular function. By being placed in a department that consists entirely of marketing professionals, an individual has a great opportunity to become an expert in marketing. Thus a functional structure tends to create highly skilled specialists. Second, grouping everyone that serves a particular function into one department tends to keep costs low and create efficiencies. Also, because all the people in a particular department share the same background training, they tend to get along with one another. In other words, conflicts within departments are relatively rare. Using a functional structure also has a significant downside: executing strategic changes can be very slow when compared with other structures. Suppose, for example, that a textbook publisher decides to introduce a new form of textbook that includes “scratch and sniff” photos that let students smell various products in addition to reading about them. If the publisher relies on a simple structure, the leader of the firm can simply assign someone to shepherd this unique new product through all aspects of the publication process. If the publisher is organized using a functional structure, however, every department in the organization will have to be intimately involved in the creation of the new textbooks. Because the new product lies outside each department’s routines, it may become lost in the proverbial shuffle. And unfortunately for the books’ authors, the publication process will be halted whenever a functional area does not live up to its responsibilities in a timely manner. More generally, because functional structures are slow to execute change, they tend to work best for organizations that offer narrow and stable product lines. The specific functional departments that appear in an organizational chart vary across organizations that use functional structures. In the example offered earlier in this section, a firm was divided into five functional areas: (1) marketing, (2) production, (3) human resources, (4) information technology, and (5) customer service. In the TV show The Office, a different approach to a functional structure is used at the Scranton, Pennsylvania, branch of Dunder Mifflin. As of 2009, the branch was divided into six functional areas: (1) sales, (2) warehouse, (3) quality control, (4) customer service, (5) human resources, and (6) accounting. A functional structure was a good fit for the branch at the time because its product line was limited to just selling office paper. Many organizations offer a wide variety of products and services. Some of these organizations sell their offerings across an array of geographic regions. These approaches require firms to be responsive to local customers’ needs. Yet, as noted, functional structures tend to be fairly slow to change. As a result, when they expand, many firms abandon the use of a functional structure as no longer optimal for their larger size. Often the new choice is a multidivisional structure. In this type of structure, employees are divided into departments based on products, services, and/or geographic regions. In the multidivisional form, the firm is divided into semi-autonomous divisions that have their own support (corporate) structures with each division being responsible for its own production and maximizing its own profit. The firm still has a central office that oversees the other divisions but the central office’s main responsibility is to develop overall strategies for the business, not to be responsible for each division’s operations. Jim Pattison Group is an example of a company organized this way. As noted in this chapter’s opening vignette, most of the company’s employees belong to one of nine product divisions: Food and Beverage, Media, Entertainment, Automotive and Agriculture, Periodical Distribution and Marketing, Signs, Packaging, Forest Products and Port Services, and Investments and Partnerships. A big advantage of a multidivisional structure is that it allows a firm to act quickly. When Jim Pattison Group made a strategic move such as acquiring Ocean Foods, only the relevant division (in this case, Food and Beverage) needed to be involved in integrating the new unit into the company’s hierarchy. In contrast, if the Group was organized using a functional structure, the transition would be much slower because all the divisions in the company would need to be involved. A multidivisional structure also helps an organization better serve customers’ needs. In the summer of 2006, for example, Jim Pattison Group’s Investments and Partnerships division created Great Pacific Bank Limited in Barbados. Because one division of Jim Pattison Group handles all the firm’s investment business, the wisdom and skill needed to decide when to enter the banking business in Barbados was more easily accessible. Of course, empowering divisions to act quickly can backfire if people in those divisions take actions that do not fit with the company’s overall strategy. McDonald’s experienced this kind of situation in 2002. The France division of McDonald’s ran a surprising advertisement in a magazine called Femme Actuelle. The ad included a quote from a nutritionist that asserted children should not eat at a McDonald’s more than once per week. Executives at McDonald’s headquarters in suburban Chicago were concerned about the message sent to their customers, of course, and they made it clear that they strongly disagreed with the nutritionist. Figure 9.11: Problems can be created when delegating lots of authority to local divisions. McDonald’s top executives were angered when an ad by their France division suggested that children should only eat at their restaurants once a week. Another downside of multidivisional structures is that they tend to be more costly to operate than functional structures. While a functional structure offers the opportunity to gain efficiency by having just one department handle all activities in an area, such as marketing, a firm using a multidivisional structure needs to have marketing units within each of its divisions. In the Jim Pattison Group’s case, for example, each of its nine divisions must develop its own marketing skills, which may reduce a firm’s overall profit margin. The organization does have a Group Opportunities (GO) program that offers assistance such as group purchasing and shared services that can create efficiencies and save money. An additional benefit of such moves is that consistency is created across divisions. Many Canadian universities and colleges have created an Office of Sustainability to coordinate sustainability initiatives across the entire organization. McMaster University has beekeeping on campus (McMaster, 2014). The University of Saskatchewan celebrated International Polar Bear Day by pledging to reduce building energy use by adjusting the cooling and heating temperatures in its buildings, and encouraging students and staff to take personal action to save energy now and in the future (University of Saskatchewan, 2014). Within functional and multidivisional structures, vertical linkages between bosses and subordinates are central for decision making, communications, and accountability. Matrix structures, in contrast, rely heavily on horizontal relationships (Ketchen & Short, 2011). In particular, these structures create cross-functional teams that each work on a different project. This offers several benefits: maximizing the organization’s flexibility, enhancing communication by emphasizing both vertical (top-down) and horizontal communicatons across functional lines, and supporting a stronger spirit of teamwork and collaboration. A matrix structure can also help develop new managers. In particular, a person with limited managerial experience can become a team leader for a relatively small project in developing their talents for leading others. Using a matrix structure can create difficulties too. One concern is that using a matrix structure violates the unity of command principle because each employee is assigned multiple bosses. Specifically, any given individual reports to a functional area supervisor as well as one or more project supervisors. This has the potential to create confusion for employees because they are left unsure about who should be giving them direction, especially in setting priorities for their work. Violating the unity of command principle also creates opportunities for unsavory employees to avoid responsibility by claiming to be busy on the other supervisor’s projects. The potential for conflicts arising between project managers within a matrix structure is another concern. Chances are that you have had some classes with professors who are excellent speakers, while in other classes, you have been forced to suffer through a semester of semi-incomprehensible lectures. This mix of experiences reflects a fundamental reality of management: in any organization, some workers are more talented and motivated than others. Within a matrix structure, each project manager naturally will want the best people in the company assigned to his or her project because the boss evaluates these managers based on how well their projects perform. Because the best people are a scarce resource, infighting and politics can easily flare up around which people are assigned to each project. One area where some degree of matrix management appears to be successful is in health. Most larger Canadian provinces use a regional health model, with regions covering up to half of the province. Local employees, often physically quite remote from headquarters, receive professional direction and orders from HQ health specialists such as the regional head nurse or the regional dental director, while receiving day-to-day directions from a local operations manager. Organizations such as engineering and consulting firms that are functionally project oriented and require maximum flexibility for projects of limited duration are candidates for matrix management. Matrix structures are also used to organize research and development departments within many large corporations. In each of these settings, the benefits of organizing around semi-autonomous teams are sufficient to outweigh the risks of doing so. However, overall, given the risks and issues in matrix management, few organizations are good candidates for a matrix structure. Figure 9.12: Within a matrix structure, you will have multiple bosses, which contradicts the rule of direct chain of command. How much work can a man accomplish with eight bosses breathing down his neck? For Peter Gibbons, an employee at information technology firm Initech in the 1999 movie Office Space, the answer was zero. Initech’s use of a matrix structure meant that each employee had multiple bosses, each representing a different aspect of Initech’s business. High-tech firms often use matrix to gain the flexibility needed to manage multiple projects simultaneously. Successfully using a matrix structure requires excellent communication among various managers—however, excellence that Initech could not reach. When Gibbons forgot to put the appropriate cover sheet on his TPS report, each of his eight bosses—and a parade of his coworkers—admonished him. This fiasco and others led to Gibbons to become cynical about his job. Simpler organizational structures can be equally frustrating. Joanna, a waitress at nearby restaurant Chotchkie’s, had only one manager—a stark contrast to Gibbons’s eight bosses. Unfortunately, Joanna’s manager had an unhealthy obsession with the “flair” (colorful buttons and pins) used by employees to enliven their uniforms. A series of mixed messages about the restaurant’s policy on flair led Joanna to emphatically proclaim—both verbally and nonverbally—her disdain for the manager. She then quit her job and stormed out of the restaurant. Office Space illustrates the importance of organizational design decisions to an organization’s culture and to employees’ motivation levels. A matrix structure can facilitate resource sharing and collaboration but may also create complicated working relationships and impose excessive stress on employees. Chotchkie’s organizational structure involved simpler working relationships, but these relationships were strained beyond the breaking point by a manager’s eccentricities. In a more general sense, Office Space shows that all organizational structures involve a series of trade-offs that must be carefully managed. 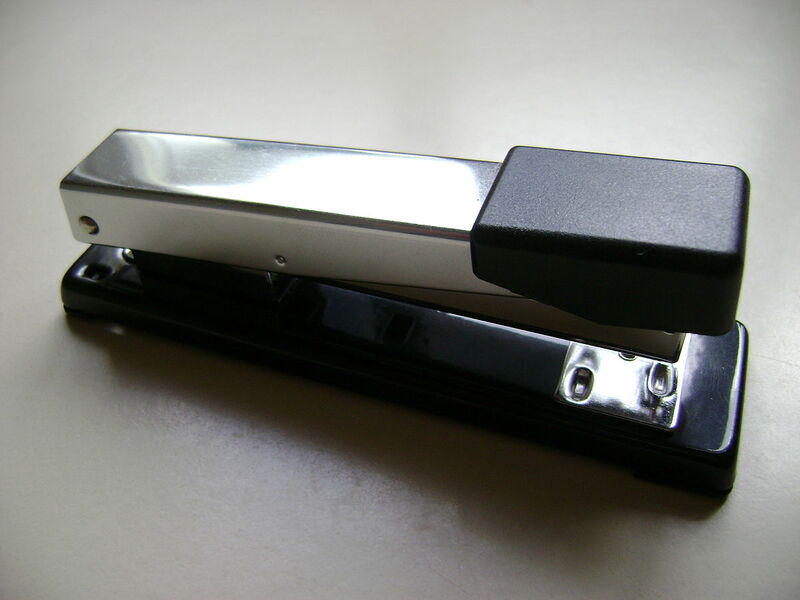 Figure 9.13: Within a poorly organized firm like Initech, simply keeping possession of a treasured stapler is a challenge. Most organizational charts show clear divisions and boundaries between different units. The value of a much different approach was highlighted by former GE CEO Jack Welch when he created the term boundaryless organization. A boundaryless organization is one that removes the usual barriers between parts of the organization as well as barriers between the organization and others (Askenas et al., 1995). Eliminating all internal and external barriers is not possible, of course, but making progress toward being boundaryless can help an organization become more flexible and responsive. Figure 9.14: The boundaryless approach to structure embraced by W.L. 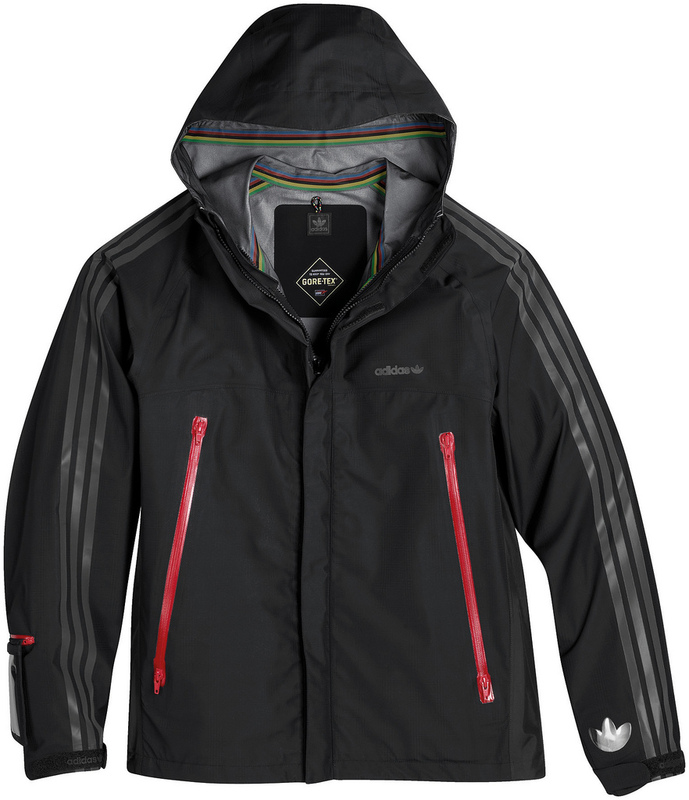 Gore drives the kind of creative thinking that led to their most famous product, GORE-TEX. An illustration of how removing barriers can be valuable has its roots in a very unfortunate event. 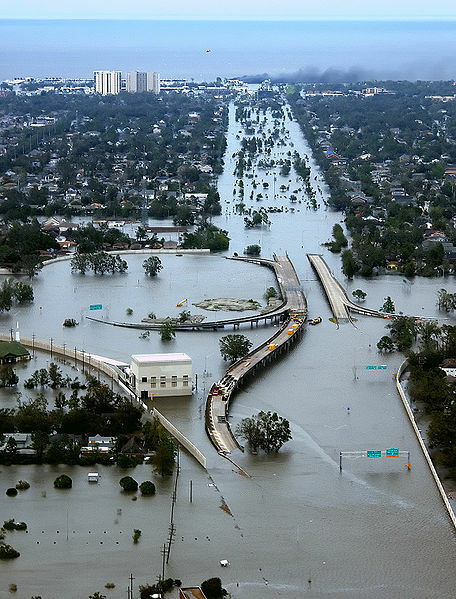 During 2005’s Hurricane Katrina, rescue efforts were hampered by a lack of coordination between responders from the National Guard (who are controlled by state governments) and those from active-duty military units (who are controlled by federal authorities). According to one National Guard officer, “It was just like a solid wall was between the two entities (Elliott, 2011).” Efforts were needlessly duplicated in some geographic areas while attention to other areas was delayed or inadequate. For example, poor coordination caused the evacuation of thousands of people from the New Orleans Superdome to be delayed by a full day. The results were immense human suffering and numerous fatalities. Figure 9.15: In 2005, boundaries between organizations hampered rescue efforts following Hurricane Katrina. As Hurricane Sandy moved toward the U.S. East Coast near the end of 2012, the Secretary of Defense and affected governors agreed to appoint dual status commanders who could direct federal and National Guard forces. These commanders are typically National Guard officers who have been trained to preserve the two separate chains of command of federal and state forces, helping to coordinate troops and reduce redundancies. Under the direction of these commanders, Guard personnel conducted damage assessments and search-and-rescue missions, removed debris, delivered supplies and equipment, and supported evacuation shelters. The Defense Department also named active duty deputies to help supply dual status commanders with active duty troops if needed to deal with the effects of the hurricane. The coordinated effort worked much more efficiently in assisting those in need during and after the storm. Creating an organizational structure is not a one-time activity. Executives must revisit an organization’s structure over time and make changes to it if certain danger signs arise. For example, a structure might need to be adjusted if decisions with the organization are being made too slowly or if the organization is performing poorly. In 2014, Walmart Canada confirmed that it laid off 750 employees across Canada to re-work its management structure. According to the company, after testing a new management structure in select stores, 1,300 associates were promoted to more senior roles and about 200 senior managers were added. Procter and Gamble, the world’s largest consumer products manufacturer, announced in 2014 that it may sell off its iconic Ivory soap brand. A range of reports pegged Ivory’s 2013 global revenues at $112 million, and its share of the U.S. bar soap market at 3.4 percent. Even though Ivory maintains a high profile, it has retreated significantly from its highs of past decades, and it may be considered an expendable laggard among the high-performance product mix that P&G’s CEO wants to create. P&G is being trimmed to concentrate on the seventy to eighty brands that generate more than $100 million in gross annual revenues. Ivory is just above that cutline, and projections do not call for growth. Sometimes structures become too complex and need to be simplified. Many observers believe that this description fit Cisco Systems Inc., which designs, manufactures, and sells networking equipment. The company’s CEO, John Chambers, has moved Cisco away from a hierarchical emphasis toward a focus on horizontal linkages. As of late 2009, Cisco had four types of such linkages. For any given project, a small team of people reported to one of forty-seven boards. The boards averaged fourteen members each. Forty-three of these boards each reported to one of twelve councils. Each council also averaged fourteen members. The councils reported to an operating committee consisting of Chambers and fifteen other top executives. Four of the forty-seven boards bypassed the councils and reported directly to the operating committee. These arrangements are so complex and time consuming that some top executives spend 30 percent of their work hours serving on more than ten of the boards, councils, and the operating committee. Because it competes in fast-changing high-tech markets, Cisco needed to be able to make competitive moves quickly. The firm’s complex structural arrangements are preventing this. In late 2007, a competitor, Hewlett-Packard (HP), started promoting a warranty service that provides free support and upgrades within the computer network switches market. Because Cisco’s response to this initiative had to work its way through multiple committees, the firm did not take action until April 2009. During the delay, Cisco’s share of the market dropped as customers embraced HP’s warranty. This problem and others created by Cisco’s overly complex structure were so severe that one columnist wondered aloud, “Has Cisco’s John Chambers lost his mind?” (Blodget, 2009). In the summer of 2011, Chambers reversed course and decided to return Cisco to a more traditional structure, while reducing the firm’s workforce by 9 percent. Time will tell whether these structural changes will boost Cisco’s stock price, which dipped to $18 in mid-2011, but had rallied to the $24 range by 2014. Executives must select among the four types of structure (simple, functional, multidivisional, and matrix) available to organize operations. Each structure has unique advantages, and the selection of structures involves a series of trade-offs. What type of structure best describes the organization of your college or university? What led you to reach your conclusion? The movie Office Space illustrates two types of structures. What are some other scenes or themes from movies that provide examples or insights relevant to understanding organizational structure? Askenas, R., Ulrich, D., Jick, T., & Kerr, S. (1995). The boundaryless organization: Breaking down the chains of organizational structure. San Francisco, CA: Jossey-Bass. Ketchen, D. J., & Short, J. C. (2011). Separating fads from facts: Lessons from “the good, the fad, and the ugly.” Business Horizons, 54, 17–22. Creating an Organizational Structure by Janice Edwards is licensed under a Creative Commons Attribution-NonCommercial-ShareAlike 4.0 International License, except where otherwise noted.